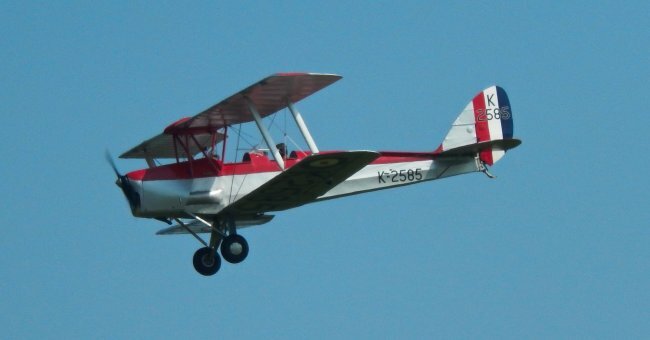 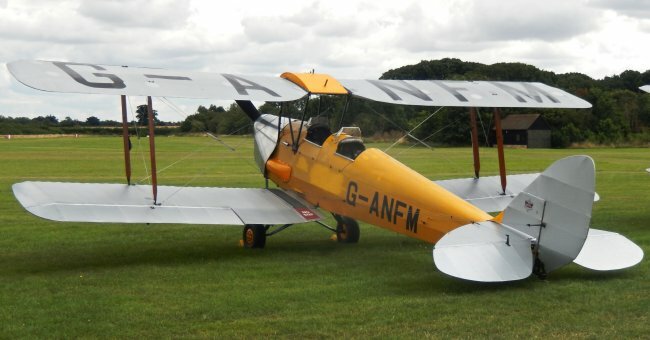 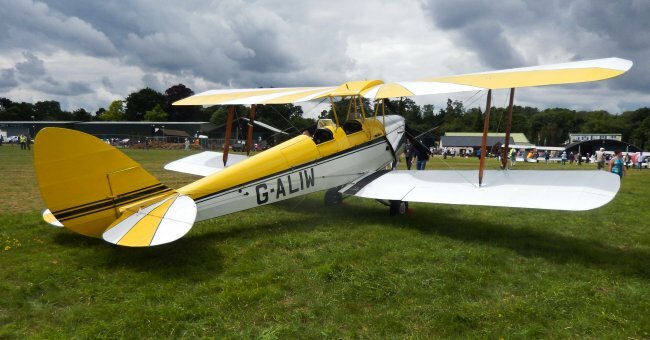 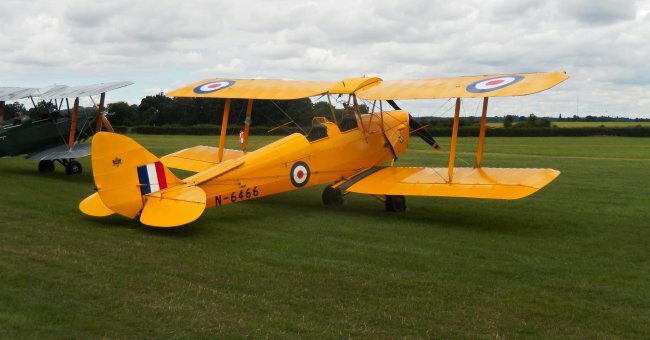 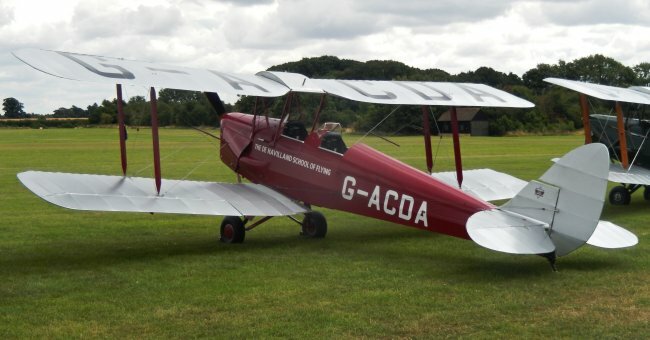 The Tiger Moth would prove itself to be a successful trainer for the Royal Air Force and other air forces around the world. 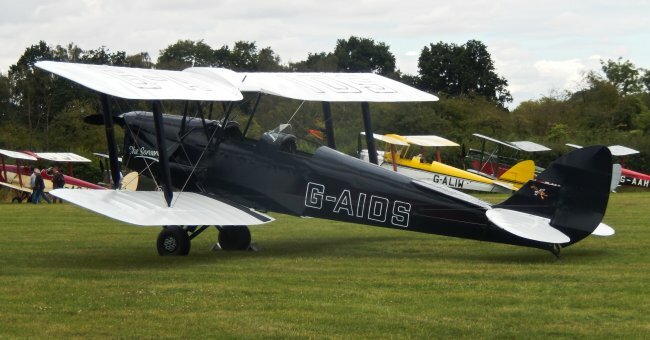 Small numbers of the type would be sent to France at the outbreak of the Second World War and the de Havilland Tiger Moth would also play a small role in the U-boat war. 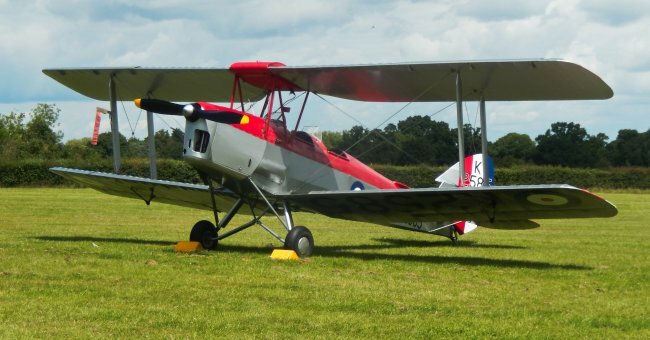 With the de Havilland Moth proving successful as a civil trainer thoughts turned to producing a version that could be used by the military. 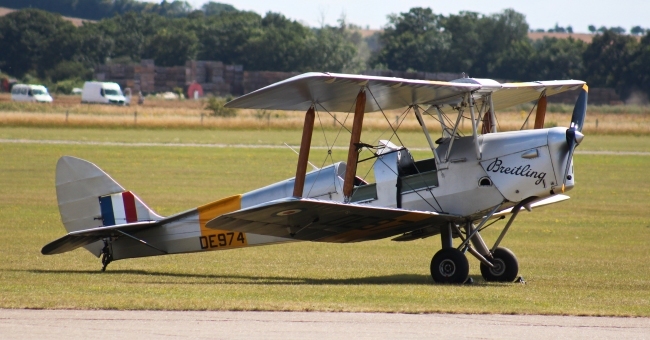 Designated the D.H.60T Moth Trainer the new trainer was strengthen to enable the aircraft to carry four 20lb practice bombs as well as reconnaissance cameras or a gun camera. 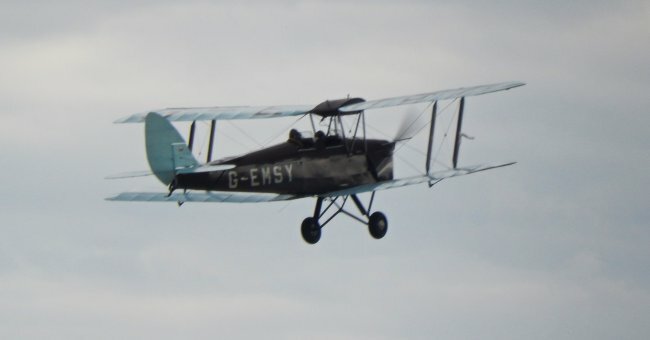 The Royal Air Force was at this time using the D.H.60G Gipsy Moth so the the new type would supply a number of other air forces including Brazil and Sweden. 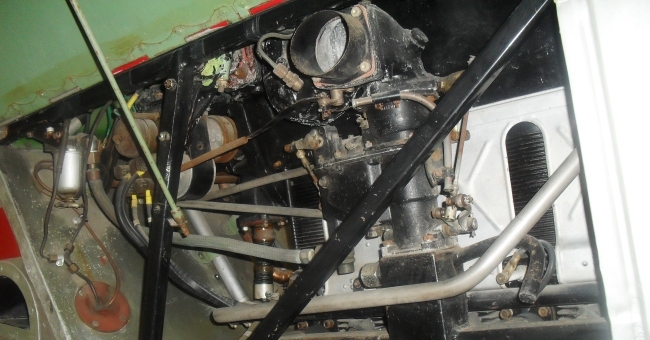 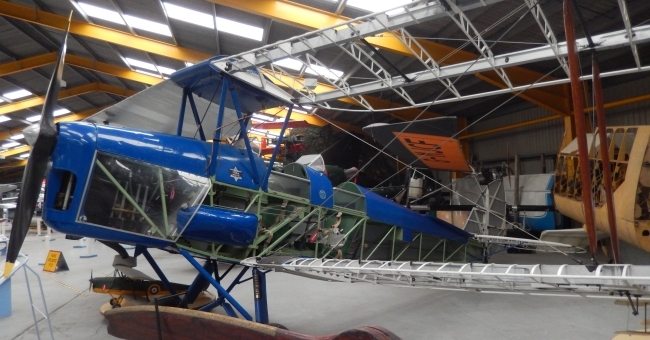 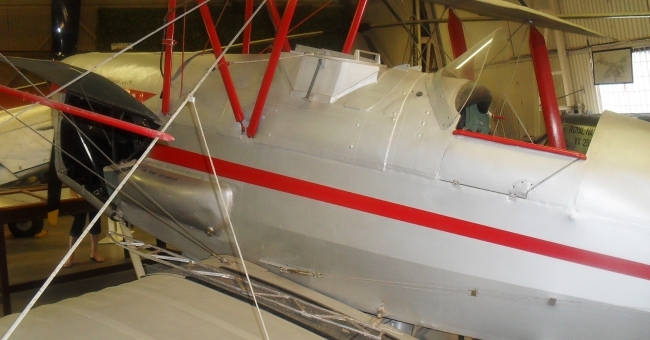 Although changes had been made to the aircraft to make it easier to escape from which included deeper cockpit doors and the rear flying wires angled forward and to meet the Air Ministry Specification 15/31 the centre struts were moved forward to make escaping the aircraft easier and the plane would have power supplied by the 120-hp Gipsy III inverted inline engine. 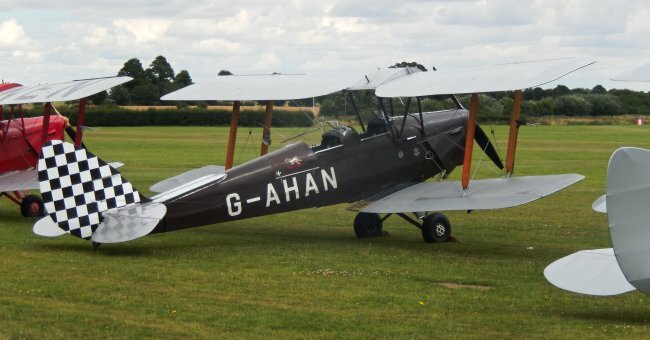 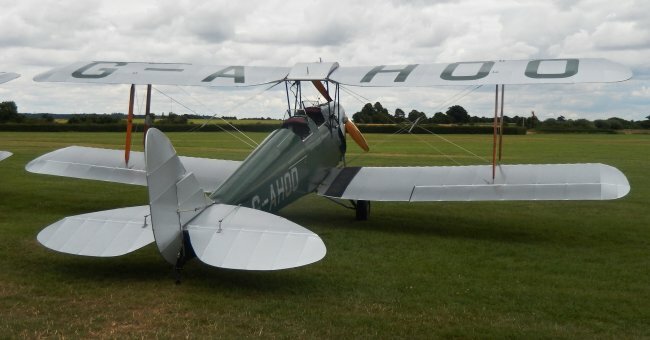 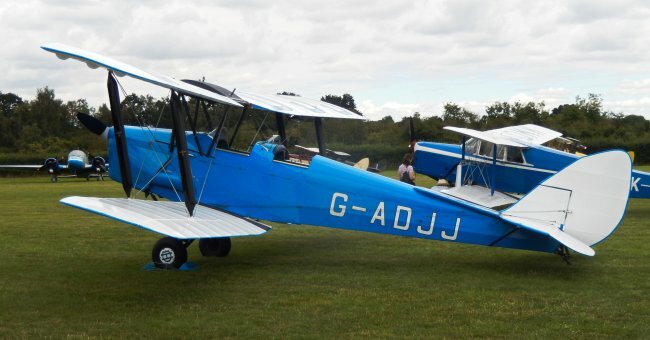 Named the Tiger Moth, under the designation D.H.60T, eight pre-production aircraft were produced this was then followed by a re-designation of the plane to D.H.82 which featured changes to the wing and on the 26th October 1931 at Stag Lane it would make it's maiden flight. 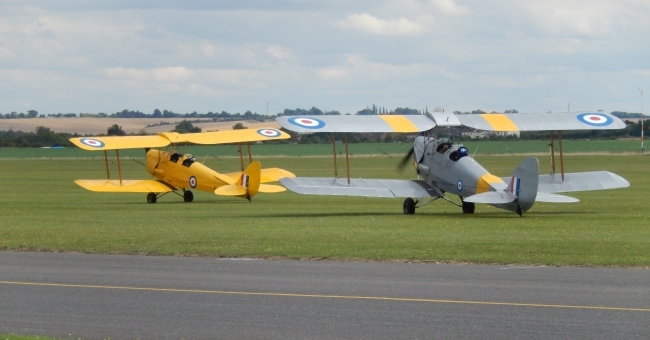 This was followed by an order for thirty five Tiger Moths built to a new Specification T.23/31 with No.3 Flying Training School based at Grantham receiving the first of the new planes the following month. 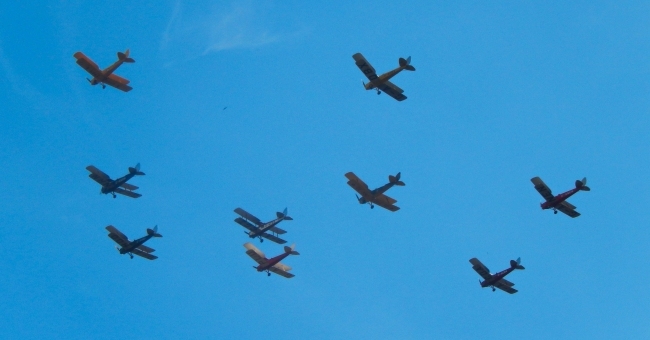 The new trainer was displayed at the 1932 Hendon airshow by five pilots of the Central Flying School. 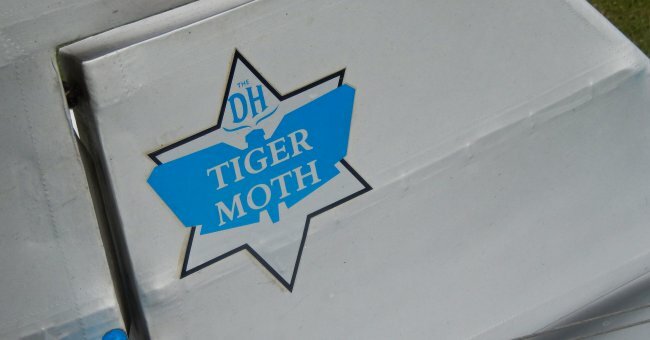 As with the original Moth trainer a number were supplied to overseas air forces. 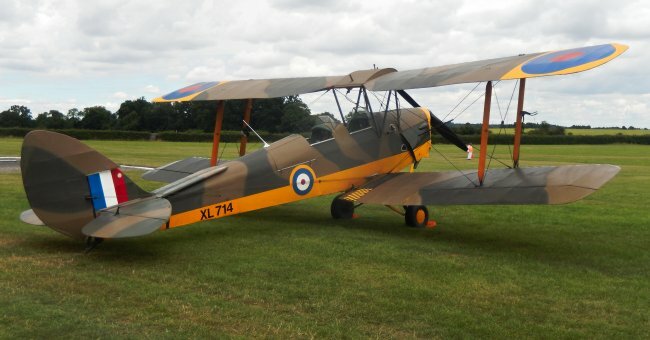 The Tiger Moth Mk II, designation D.H.82A, followed and was powered by the 130-hp Gipsy Major engine and had it's fabric covering replaced by plywood in the rear fuselage and the rear cockpit could be covered by a hood to enable instrument flying instruction and fifty of these were ordered. 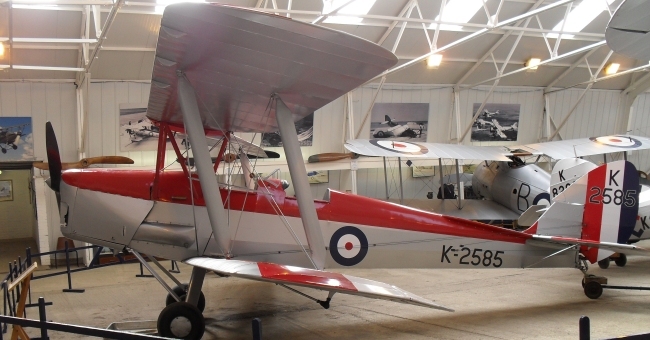 A winter version, known as the D.H.82C, featuring cockpit heating and canopies was built by de Havilland Aircraft of Canada with power supplied by the 145-hp Gipsy Major engine but when this engine was in short supply the Menasco Pirate engine was installed. 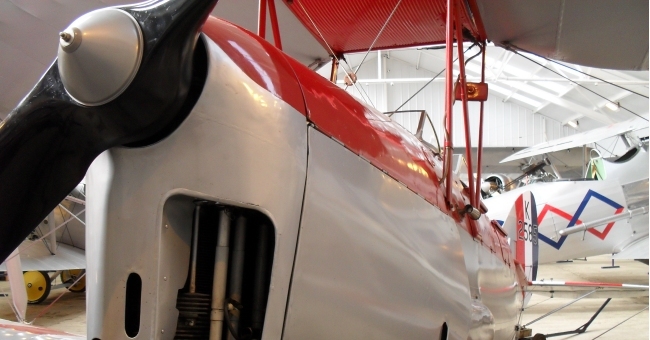 These aircraft would serve with the Royal Canadian Airforce with 200 being ordered by the United States Army Airforce under the designation PT-24, although under the Lend Lease agreement they would be supplied to the RCAF. 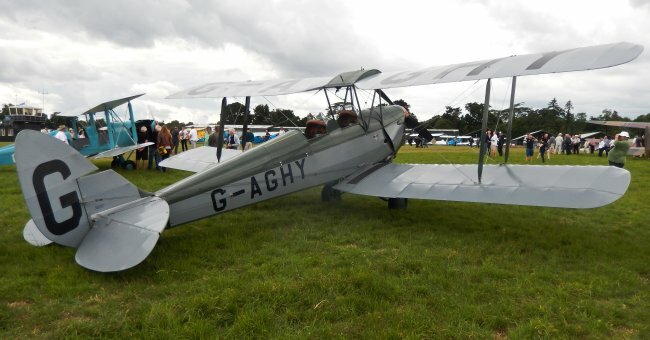 After the outbreak of the Second World War the Royal Air Force impressed civil Moths and on the 17th September 1939 'A' Flight of the British Expeditionary Force Communication Squadron was sent to France where they proved invaluable during the winter/spring of 1939/40, five Coastal Command squadrons equipped with de Havilland Tiger Moths were also formed during December 1939 despite being unable to perform an attack on a U-Boat, before returning to Britain during Operation Dynamo. 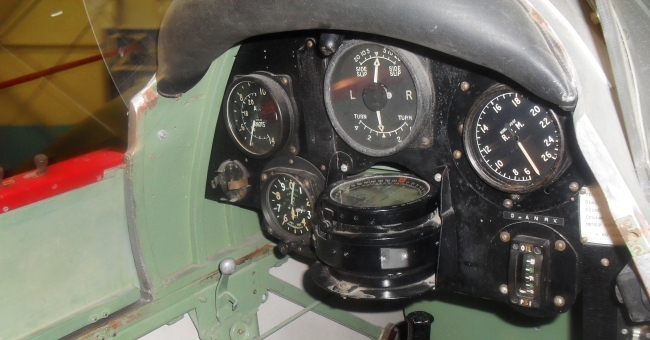 With Britain threatened with invasion over 1,500 rack sets designed to hold eight 20lb bombs were distributed for installation on the plane in the event of a German invasion. 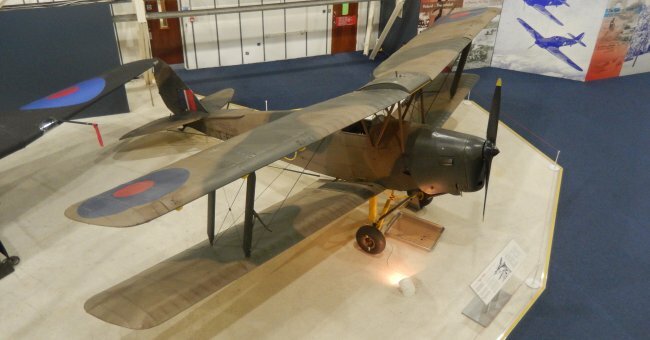 Small numbers of the type, based in the far east, had modifications made to be able to carry one casualty. 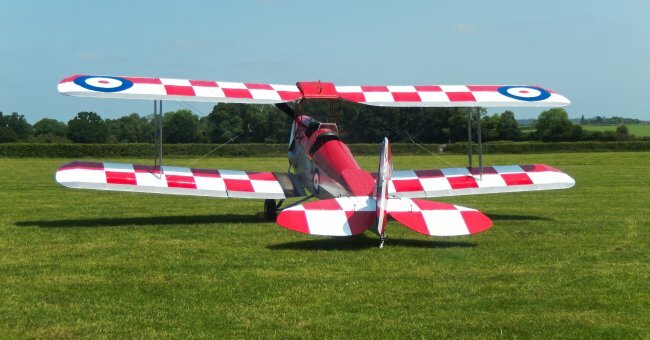 The Tiger Moths main role was that of a training aircraft and at least 78 flying schools used the type with 8,868 built in total, with other countries such as Norway and Sweden building the plane under licence.